It’s common knowledge that antioxidants have many health benefits like anti-aging and anti-cancer properties. What’s not commonly known is that antioxidants also protect sperm cells from oxidative stress. And just as proper nutrition is crucial to improving your overall health, eating the right kinds of food can also improve your erectile function. For men who are concerned about developing impotence or erectile dysfunction (ED), a diet rich in flavonoid antioxidants can help lower the risks of ED. Among the many types of flavonoids, flavones, flavanones, and anthocyanins are the ones associated with lower incidences of erectile dysfunction. Read on and find out which fruits and vegetables are rich in fertility-enhancing antioxidants. A high intake of beta-carotene is associated with better progressive sperm motility. When you ejaculate, your sperm is supposed to swim forward towards your partner’s egg cell. Their ability to do this is referred to as sperm motility. However, when your sperm cells do not swim forward at all or they just swim around in circles, then they won’t be able to reach the egg cell and no fertilization will occur. If you are hoping to impregnate your partner, you will benefit a lot from incorporating carrots, sweet potato, spinach, and kale to your diet. These veggies have high concentrations of beta-carotene. Lutein is commonly associated with eye health. But the truth is that lutein also helps improve sperm motility. Just like beta-carotene, lutein is also found in high concentrations in vegetables like kale, spinach, and other green leafy veggies. If you’re not a fan of vegetables, you can also add egg yolk, salmon, kiwi fruit, and grapes. The good thing is that foods containing often also have high concentrations of zeaxanthin. This means that when you eat these foods, you’re not just improving your sperm motility, you’re also taking good care of your eye health. If you don’t want to develop heart diseases, atherosclerosis, and prostate cancer, you should eat foods that are rich in lycopene. As an antioxidant, lycopene protects the body from many types of diseases. 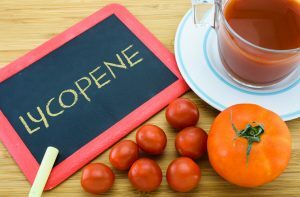 More importantly, lycopene helps improve sperm morphology. Sperm morphology refers to the physical characteristics of your sperm cells. When you have low levels of sperm morphology, it means that many of your sperm cells have abnormalities like having two tails or misshapen heads. Usually, these sperm cells are not considered viable for fertilization. As an antioxidant, quercetin is a type of flavonoid that offers various benefits. It has anti-inflammatory, anti-aging, and anti-cancer properties. Quercetin is also great for cardiovascular health and for fighting off allergies. And for physically active people, it can help promote endurance. Vegetables that are rich in quercetin include tomatoes, kale, broccoli, onions, and lettuce. In general, cruciferous and leafy vegetables usually contain a lot of antioxidants like quercetin. Fruits that contain high concentrations of quercetin include apples, cherries, blueberries, bilberries, blackberries, and citrus fruits. Just like other types of antioxidants, flavanones also have many health benefits due to their antimicrobial, antiviral, and anti-inflammatory properties. Naringin and neohesperidin are two of the most common flavanones. They are often called citrus flavonoids since citrus fruits contain high concentrations of naringin and neohesperidin. However, flavanones are normally completely metabolized and excreted from the body after a day. This is why it’s wise to eat citrus fruits daily to replenish the body’s supply of these beneficial citrus flavonoids. In plants, anthocyanins are responsible for blue, purple, and red pigmentation. In humans, anthocyanins are extremely potent antioxidants. Anthocyanins like cyanidin help protect the body from diabetes, obesity, cardiovascular diseases, and cancer. Aside from their cardioprotective benefits, anthocyanins also have neuroprotective benefits. This potent antioxidant is also associated with improved weight loss, lower cholesterol levels, and better eye health. Berries such as blackberries and blueberries are excellent sources of anthocyanins. Grapes, plums, eggplant, and other blue-colored or purple-colored fruits and vegetables are also rich in anthocyanins. Red-colored fruits and veggies like red raspberries, red cabbage, and apples are also great sources of potent anthocyanin antioxidants. Vitamin E or alpha-tocopherol acts as an antioxidant by stopping lipid peroxidation and scavenging for free radicals. The membranes of sperm cells are protected from oxidative stress through the actions of vitamin E. Oxidative stress reduces the number of motile sperm and by protecting against such damage, vitamin E helps increase sperm motility rates. 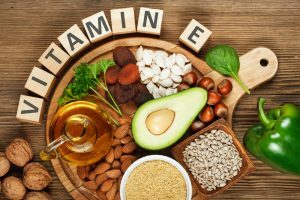 When combined with selenium, the antioxidant actions of vitamin E are even amplified. Selenium is necessary for normal sperm production and sperm motility. It also helps protect sperm DNA from oxidative damage. Thus, if there’s a deficiency of selenium in the testes, sperm cells may develop abnormally, resulting in poor sperm morphology and reduced sperm motility. If you’re not taking supplements for vitamin E, you should incorporate almonds, turnips, spinach, kale, avocado, and other fruits and vegetables that contain high concentrations of vitamin E. When cooking, using palm oil, wheat germ oil, or sunflower oil, will also give you a lot of vitamin E.
Most people who take vitamin supplements almost always take the ones that contain because they know how important vitamin C is for overall health. For men, however, vitamin C is even more important. The concentration of vitamin C in the seminal plasma is actually much higher than in blood serum. In fertile men, that is. In men with asthenozoospermia or low sperm motility, there’s usually high levels of oxidative compounds and low levels of vitamin C. This indicates that vitamin C helps protect sperm cells from oxidative damage which, in turn, results in high sperm motility rates. When both vitamin C and vitamin E are in abundant supply in the seminal fluid, the positive effects on sperm motility are even greater. Leafy greens such as turnip greens and spinach, cruciferous vegetables like broccoli and cauliflower, strawberries, kiwi fruits, and citrus fruits are all rich in vitamin C. Bell peppers, black currant, papaya, and guava also contain high concentrations of vitamin C.